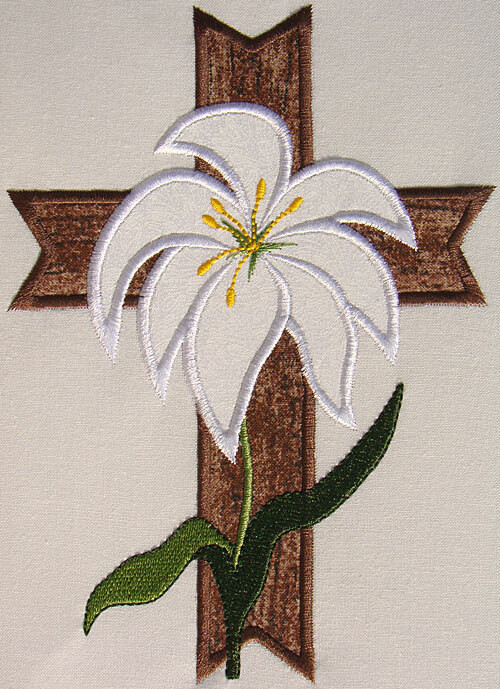 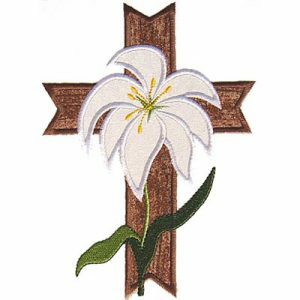 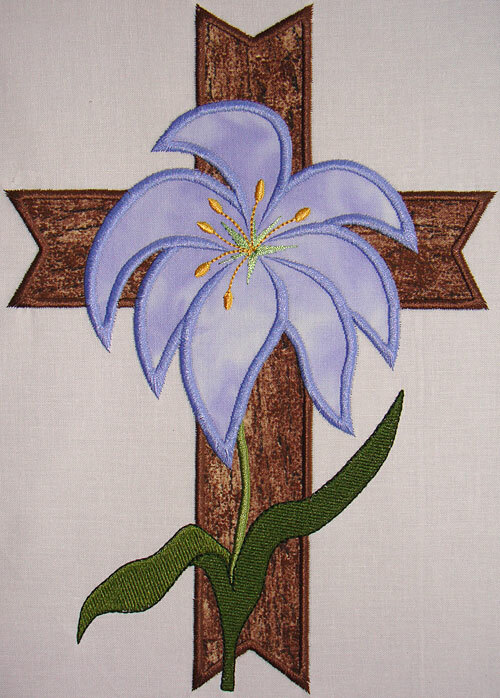 Beautiful applique cross with Lily. 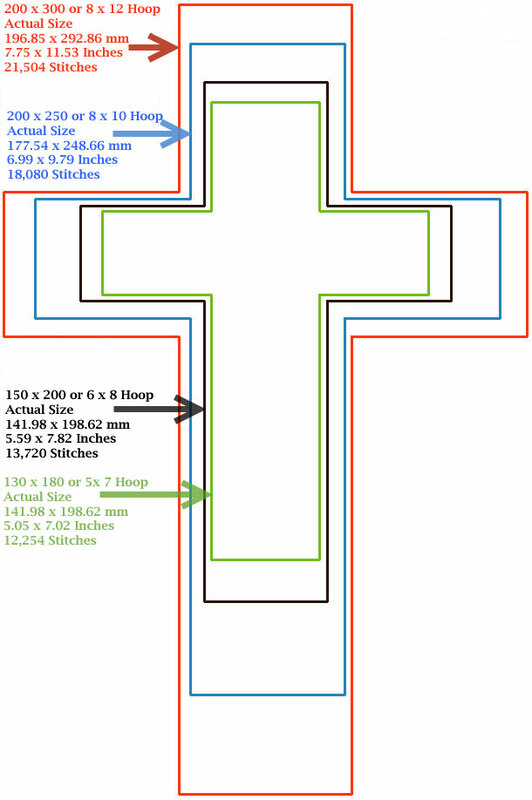 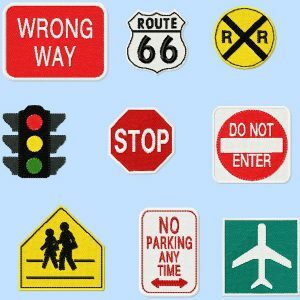 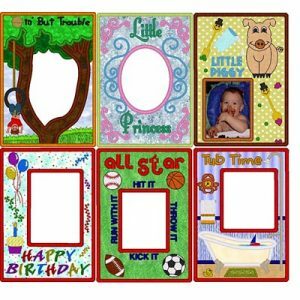 From this page you can select one of 4 sizes or all 4 sizes. 4×4 is also available on it’s own page. 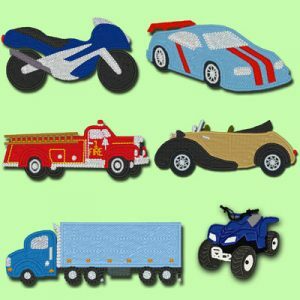 All Sizes are included for one low price. 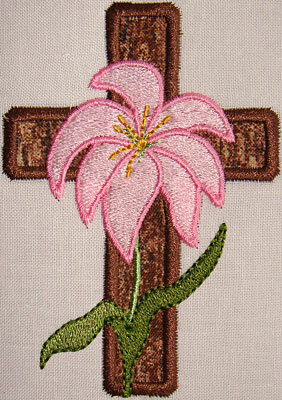 Since this cross is so small it worked best with the lily being fill stitch.